Today’s condominium owners want more than a fancy high rise apartment; they want a luxury home with all necessary amenities onsite. 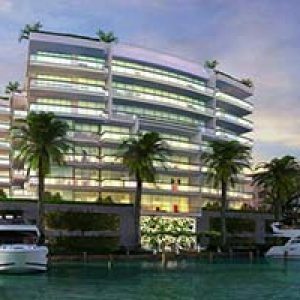 That is exactly what Frankel Benayoun Architects Inc. has included in their latest project – Riva at Bay Harbor. Located at 9400 W. Bay Harbor Drive, Bay Harbor Islands Riva is a top of the line 7 floor complex offering 25 units, including 3 and 4 bedroom selections with between 2347 – 3425sf. Prices are set at between $1,550,000 – $1,580,000. Riva Bay Harbor is located within the township of Bay Harbor islands, offering you the proximity to bustling South Florida City life with the seclusion of an island paradise. The developers are offering five exciting floor plans to fit your needs and your budget. On site amenities offer everything residents are looking for, from a state of the art fitness center with all the latest exercise and cardio gear to a private rooftop pool and Jacuzzi. You will also find the Riva offers private boat slips, secure garage with valet service, 24 hr. security and concierge service and private entrance with elevator access directly to each unit’s foyer. If you travel by sea, boat slips are also available right at your doorstep. Riva at Bay Harbor is also overlooking a beautiful golf course, so it will be no problem to wake up early and get in a quick nine. Each unit includes private, extra-large terrace with wrap around verandas and water front views. Nine floor plans are offered and although most are decorator ready, allowing residents to add their personal touch; select units are furnished and decorated by famed interior designer Steven G.
Bay Harbor Island is perfectly situated to provide Riva residents with access to some of South Florida’s most beautiful white sand beaches and hottest nightlife, shopping and find dining. Located between the village of Bal Harbour and City of Miami Riva residents will find themselves a mere 10 minutes from favorite destinations including Bal Harbour Shops with the latest selection from Gucci, Dole & Garbanna, Miami’s popular Ocean Drive and Lincoln Road – home to the area’s most selective dining, shopping and entertainment opportunities. Although tucked away on its own island, Riva Bay Harbor offers quick access to the A1A and connecting interstate highways for quick travel to the airport or other destinations. Riva at Bay Harbor will provide residents with the best in South Florida living and the opportunity to experience Miami as an insider.